Cleaning the windows can be a tricky job with cloths and water buckets making a mess, not to mention the difficulties of cleaning glass without leaving streaks. 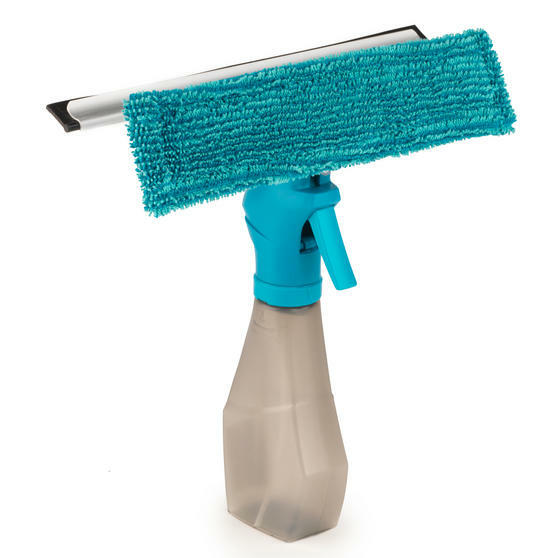 Try a new approach with this spray window cleaner with a built in wiper and microfibre cloth, so you can spray the window, wipe and release the dirt then simply dry with the cloth to pick up the residue, leaving nothing but sparkling clean glass. The window cleaner holds 200ml so you can clean efficiently without stopping to refill. 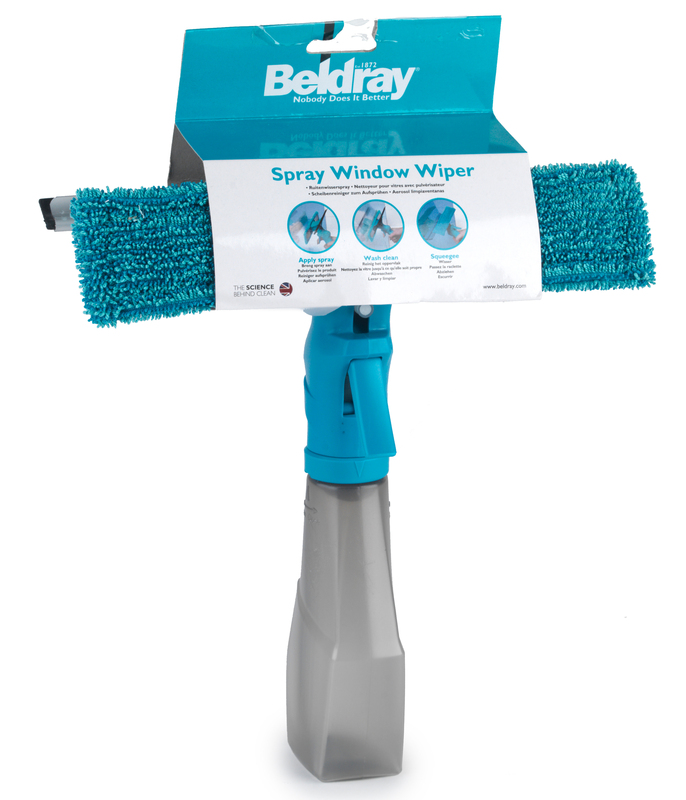 Using this Beldray turquoise window cleaner with a bottle capacity of 200ml, you can clean for longer without needing to refill. Spray the window then use the wiper to free the dirt, grime and grease before eliminating it from the surface using the microfibre pad. The microfibre pad picks up and locks in dirt, containing it rather than pushing it around the glass, guaranteeing an effective clean. Measuring 25 x 27 cm, the window cleaner is lightweight, making it easy to hold and use for extended periods of time. The compact size of the window cleaner also makes it wonderfully easy to store away in a cupboard ready for next time. Absolutely love this no mess works brilliantly. £6 in Matalan bargain!